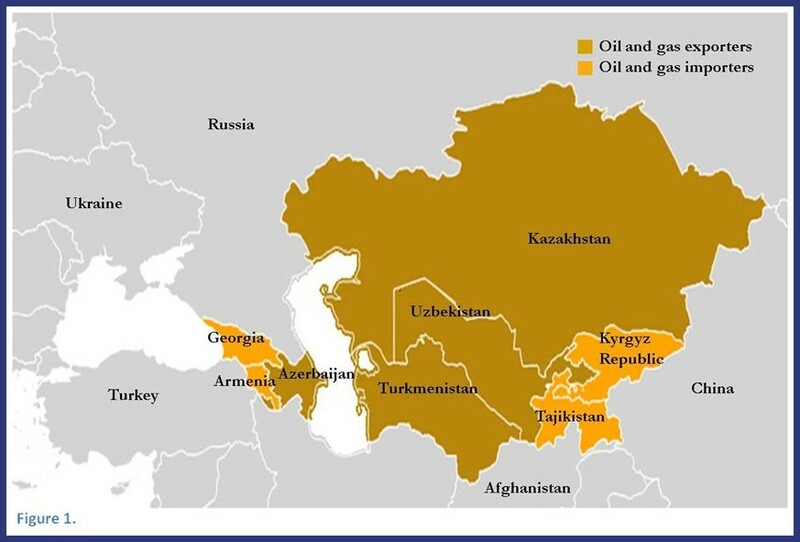 The countries of the Caucasus and Central Asia (CCA) are closely linked with Russia through trade, financial, and labor market channels. These ties have served the region well in recent years, helping it make significant economic gains when times were good. But how is the region affected when Russia’s economy slows down? Underlying structural weaknesses have reduced Russia’s growth prospects for this year and over the medium term. Tensions emanating from developments in eastern Ukraine—including an escalation of fighting, the downing of Malaysian Airlines Flight 17, and new sanctions—have led to renewed market turbulence in Russian markets. Experience has shown that lower growth in a large country can inflict significant collateral damage on neighboring countries with strong linkages of the type that the CCA has with Russia. (See also separate blog on Russia-Europe links.) We took a closer look at these connections to see how they transmit shocks, with particular attention to the impact on the region’s two main categories of economies—hydrocarbon importers and hydrocarbon exporters (see map). A special characteristic of the oil and gas importers is their reliance on remittances for household income and foreign currency. Russia accounts for at least 90 percent of remittances to Armenia, the Kyrgyz Republic, and Tajikistan—and in the case of Tajikistan, remittances are equivalent to half of GDP. Slower growth in Russia means lower remittances: our calculations suggest that a 1 percentage point fall in Russia’s GDP could reduce remittance flows to households in oil- and gas-importing countries by 1½ percent. The presence of very large numbers of workers from the CCA and the remittance channel also means that changes in Russia’s visa regimes or labor regulations could have a significant impact. 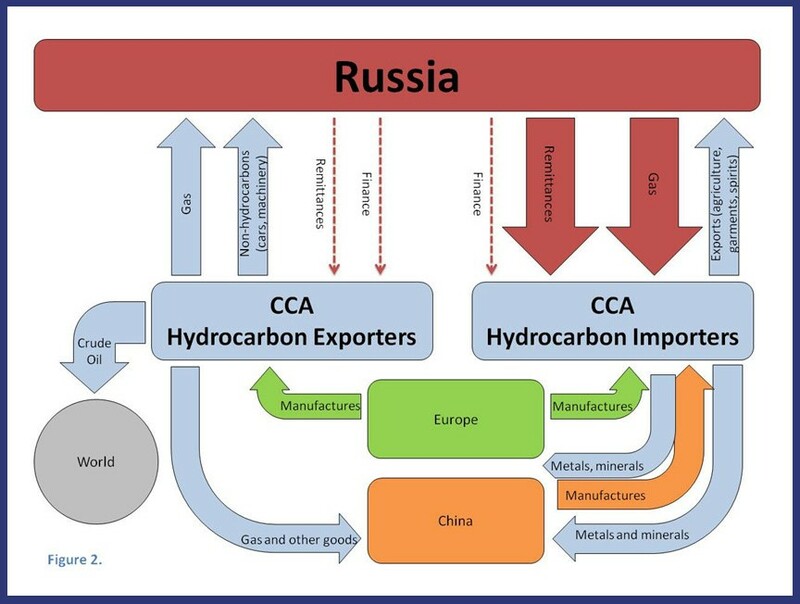 Russia also exports goods to the CCA’s hydrocarbon-importing countries, especially oil and gas. As in Western and Central Europe, Russia has a big influence on CCA countries through changes in gas prices or deliveries. After a recently-negotiated 30 percent price discount, Armenia will save about 1½ percent of GDP annually on its gas bills, a big benefit for the country. Although CCA commodity exports are targeting the global market, Russia is still the main destination for goods from job-creating industries like agriculture, garments, and spirits. IMF calculations suggest a 1 percentage point fall in Russia’s GDP could reduce CCA non-oil exports by ¾ percent. Moreover, exports may be vulnerable to changes in Russia’s application of food safety standards or other non-tariff trade barriers. FDI and banking links with Russia are relatively small, suggesting smaller spillovers via these channels. However, CCA countries do not have particularly strong or diverse FDI or financial sector links with other regions, and the slowdown in Russia and concerns with escalating fighting in eastern Ukraine and sanctions could contribute to region-wide confidence impacts that may also affect the CCA. All of these linkages transmit macroeconomic shocks that would have a bigger impact on the region’s oil- and gas-importing countries than on its oil- and gas-exporting countries. Our analysis suggests that a 1 percentage-point fall in Russian GDP growth would reduce the oil and gas importers’ growth by about ½ percentage point and the oil and gas exporters’ growth by less than a ¼ percentage point. Lower medium-run growth in Russia, however, means that CCA growth—and hence tax revenues—will be lower than previously expected. As a result, policymakers in all countries in the region would do well to spend prudently—to avoid a spike in debt in some oil- and gas-importing countries and to limit the drawdown of oil savings in the oil- and gas-exporting countries. Although the CCA countries have enjoyed strong growth in the past propelled in part by Russia, they’ll need to find a new growth impetus as they seek to transition to dynamic emerging markets (see a recent paper on the CCA). Greater openness to FDI, enhanced connectivity, and more diversified trade are part of the answer. The CCA countries are among the least integrated in the world due to geographical and policy barriers. While the current tensions in the region underscore potential complications to deeper integration, a multilateral approach in which trade barriers are reduced with all countries remains the best option. With thanks to Brian Hiland and Greg Hadjian for their contribution to this blog post.